Epson UK has announced a further model to the SC range of A3+ printers with the SC-P400, a printer it claims is smaller and lighter than any other A3+ pigment inkjet machine. Although no pricing has been released, the new model is said to be part of an ‘affordable’ package that includes the lowest cost pigment ink-set on the market. The SC-P400 uses a 7-color ink-set of UltraChrome HiGloss 2 pigment inks, as well as a gloss optimizer that aims to create a smooth and even finish on glossy papers into which the ink doesn’t soak. Each ink cartridge holds 14ml of ink, and the optimized print resolution is claimed to be 5760×1440 dots. The company also boasts that the SC-P400 can deliver the smallest inkjet droplet of any A3+ photo printer on the market, with droplet volume as low as 1.5 Pico litres. As well as the usual paper path the SC-P400 offers rear loading for fine art papers, two roll-paper options and the ability to work with media of up to 1.3mm in thickness. 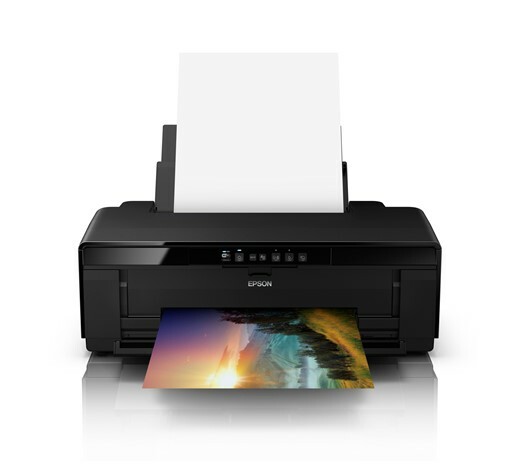 The Epson SC-P400 measures 622x324x219mm, weighs 12.3kg and offers Wi-Fi and Ethernet connection. Epson UK states it will be available from November 1st, but there’s no confirmation of a global release date. For more information see the Epson website.